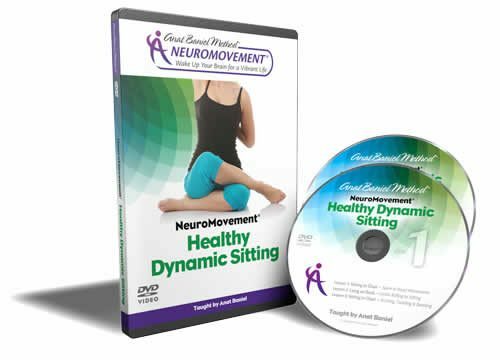 This package contains 4 new NeuroMovement® video programs: Whole Body Fitness, Better Balance, Healthy Dynamic Sitting and Better Breathing. These programs address 4 different areas that are essential for a healthy, vibrant, and radiant body and mind. When sold separately, these programs retail for $89.95 each, for a total value of $359 for 12 hours of cutting-edge NeuroMovement lessons. 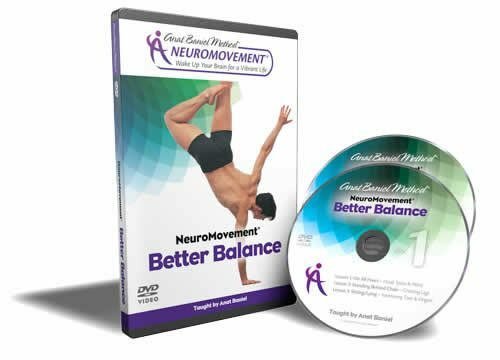 For the first time in 10 years, Anat Baniel has recorded 4 completely NEW NeuroMovement® video programs. These long-awaited programs incorporate all of the latest methods to provide you with real and immediate access to your own brain, unleashing your power to overcome limitation, and the thrill of discovering new, often unforeseen life-giving possibilities. With the Nine Essentials and these innovative movement lessons, you will wake up your brain to discover new, pain-free ways to move. You will experience greater flexibility and freedom in your movement, and learn to move in ways you may have thought impossible for you. Your thinking will become clearer and more creative, and you will experience renewed vitality, sensuality, and enhanced joy in everyday life. Each program has six separate movement lessons, the equivalent of the number of movement lessons in a two-day live workshop. 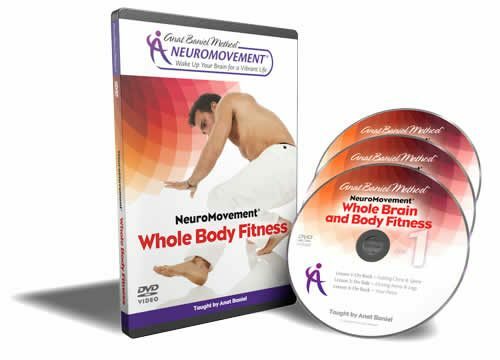 For best results, we recommend that you complete these NeuroMovement® Whole Brain & Body Fitness programs before going on to other NeuroMovement programs.